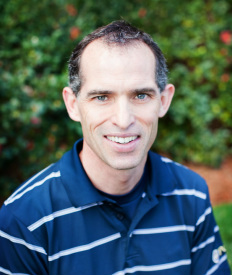 Club director Brian Balocki has been an elementary physical education teacher for over 25 years in a private elementary school in the Buckhead area. Originally from Connecticut, Brian competed in high school and college club level lacrosse and continues to compete in off-road mountain biking and running races. Brian has over fifteen years of experience coaching lacrosse after-school programs. He is an assistant coach for Lovett's middle school. He has been coaching elite level lacrosse travel teams for the past three seasons (3D and Thunder). He is known for his fun/productive practices, sportsmanship teachings and expectations, and player skill development. Brian has also led the Values program at his school for the past fifteen years and has won numerous awards for outstanding teaching practices. He brings an infectious positive attitude and high standard for respect and sportsmanship. Your child will not only learn lacrosse, he/she will learn essential life lessons. Brian has his Level One Coaching Certification in Boys and Girls lacrosse through US Lacrosse. He has successfully completed the Positive Coaching Alliance " Double-Goal Coach: Coaching for Winning and Life Lessons". Brian will incorporate these excellent coaching practices, plus his nineteen years of "best teaching" strategies to get the most out of his players!